Definition at line 179 of file llhttpclient_tut.cpp. Definition at line 182 of file llhttpclient_tut.cpp. Definition at line 193 of file llhttpclient_tut.cpp. Definition at line 188 of file llhttpclient_tut.cpp. Definition at line 210 of file llhttpclient_tut.cpp. 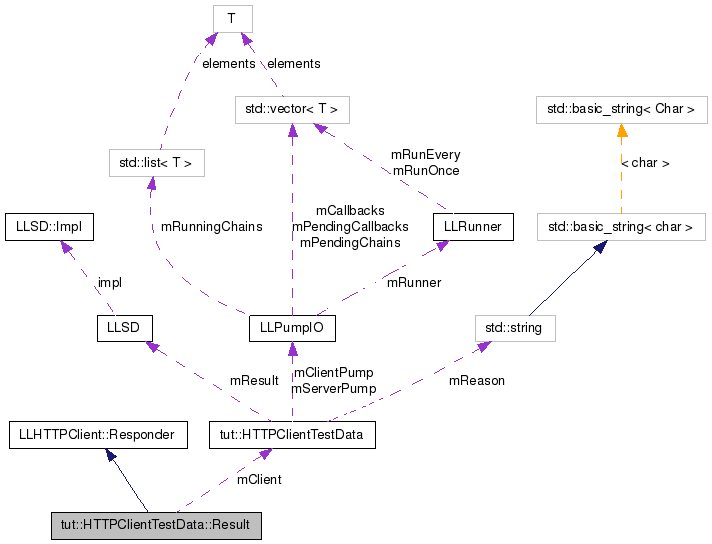 References LLHTTPClient::Responder::completed(), mClient, and tut::HTTPClientTestData::mSawCompleted. Definition at line 198 of file llhttpclient_tut.cpp. References mClient, tut::HTTPClientTestData::mReason, tut::HTTPClientTestData::mSawError, and tut::HTTPClientTestData::mStatus. Definition at line 205 of file llhttpclient_tut.cpp. Definition at line 220 of file llhttpclient_tut.cpp. Referenced by completed(), error(), result(), and ~Result().